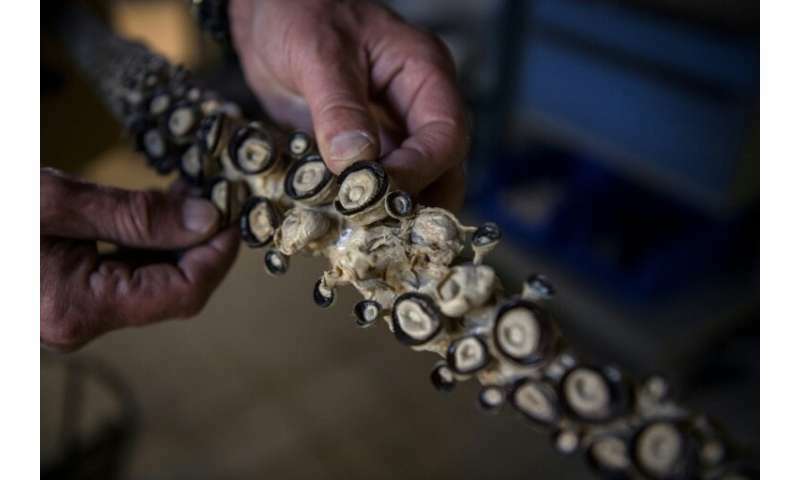 Six metres (20 feet) long—not counting its tentacles—and weighing in at 80 kilos (180 pounds), the squid, nicknamed "Wheke", hangs from a workshop during a recent visit, suspended on a pulley. 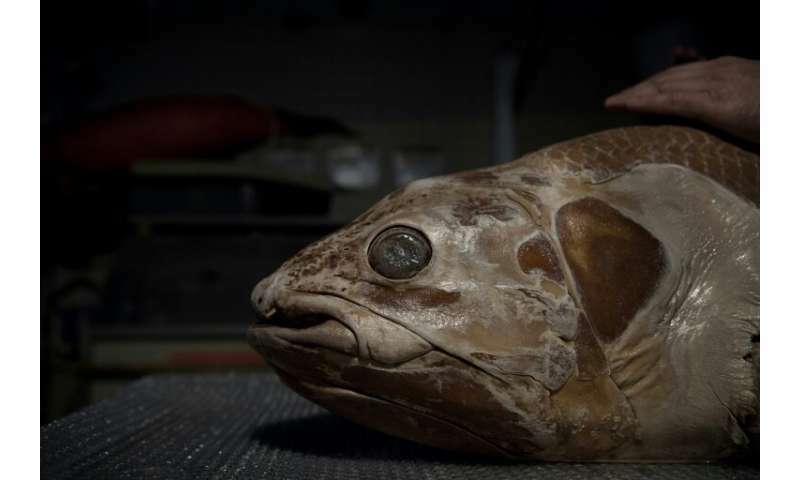 Before becoming a permanent exhibit, this dainty specimen—the largest grow up to 18 metres—lived off the coast of New Zealand, where it was caught in 2000. 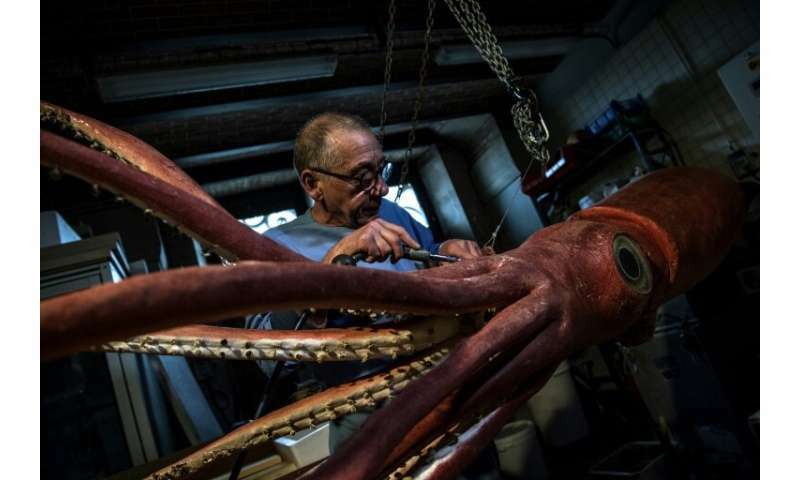 Stuffing an animal skin with a foam rubber replica—the classic method—doesn't work for squids, so Gottini opted for plastification, a technique perfected in Italy. Architeuthis dux likewise has the biggest eyes—the size of dinner plates—of any known creature.